Age 16 and above, please select number of children if any. 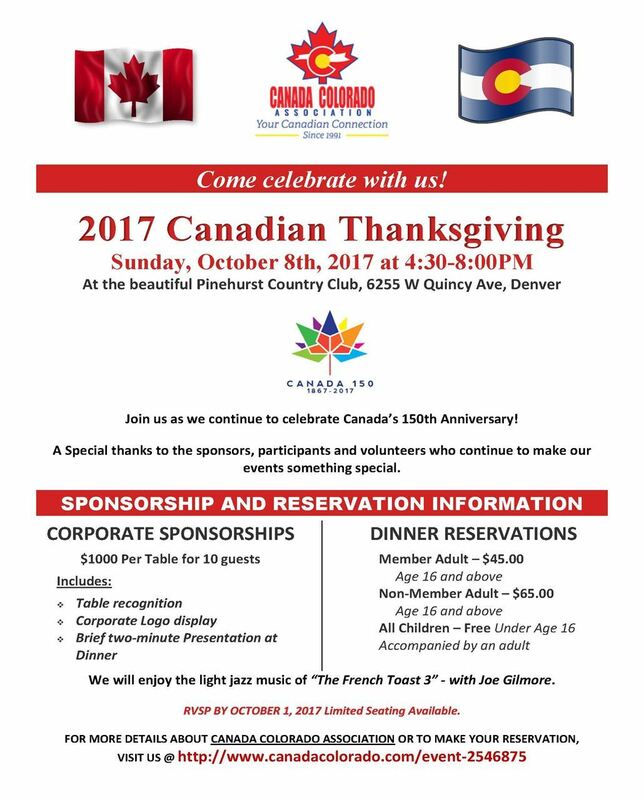 CANADIAN OF THE YEAR special presentation to Jim Montgomery, Head Coach NCAA Frozen Four Champion University of Denver Pioneers Hockey Team. A brief presentation by Stephane Lessard, Consul General of Canada. If you would like to make your favorite Nanaimo Bar recipe or other Distinctly Canadian Food, please bring them to share. Not to worry though, there will be plenty of food, although maybe a little less "Canadian".